Lady Bunny Blog: CANNOT WAIT! This is gonna be a scream! Castro Theatre in San Fran on Saturday, March 29th. 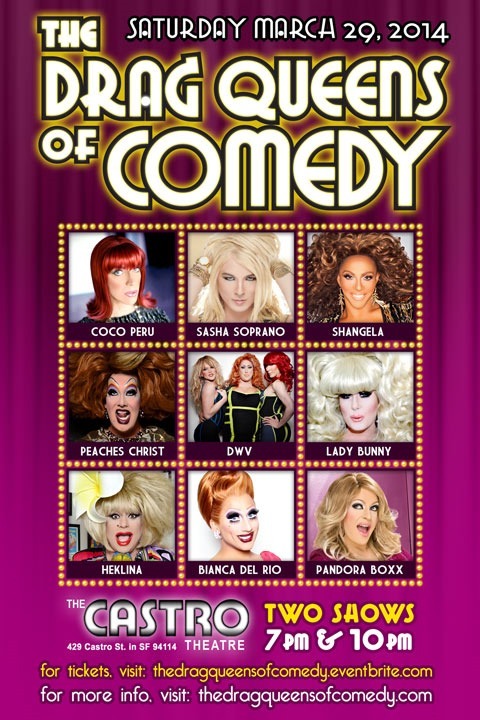 Two shows with Bianca Del Rio﻿, Sasha Soprano﻿, Heklina, Peaches Christ﻿, Shangela Debutantess﻿, Coco Peru﻿, Pandora Boxx﻿, Willam Belli﻿, Vicki Voxx and Detox Icunt﻿! ZSA ZSA'S B'DAY TODAY! ONE OF MY IDOLS!